I looked long and hard to find this car, and paid handsomely for it too. 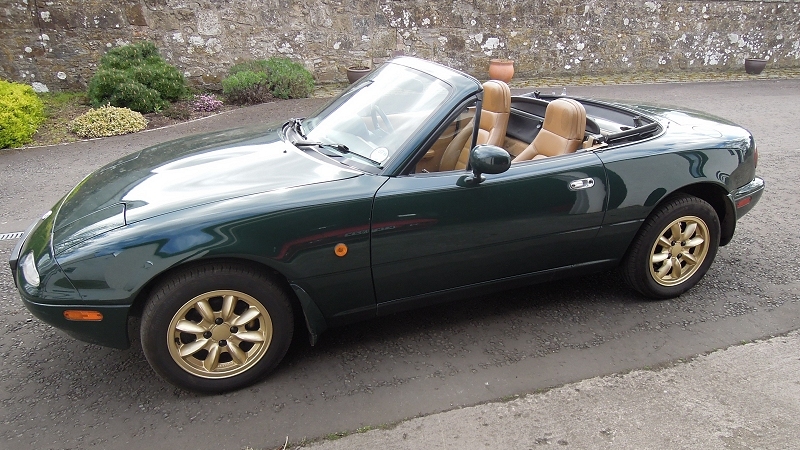 Every pub bore will tell you there are loads of cheap MX5’s out there, and they are right. The trouble is that all of them are cheap because they are either rusty, repaired or modified and as with all things in life, you get what you pay for. So before we get onto the shiny bits, let me show you two photographs that explain why I bought it. 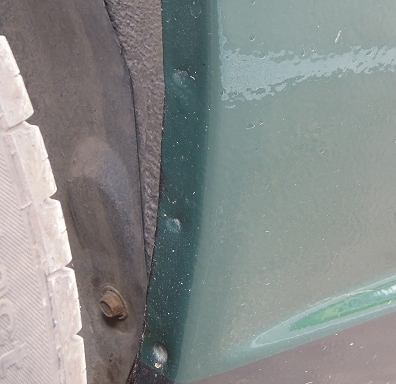 The key area to check on these cars are the sills and rear arches, as these are prone to structural rust making the car an MOT failure, which then needs extensive surgery with a welding torch. 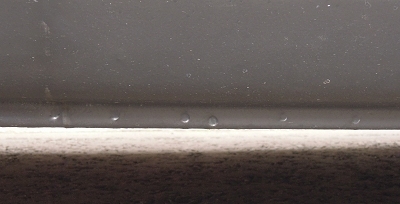 These pics show the arches and sills on my car, look carefully and you will see the original factory spot weld dimples, which shows that the car has its original metal in solid order and untouched. 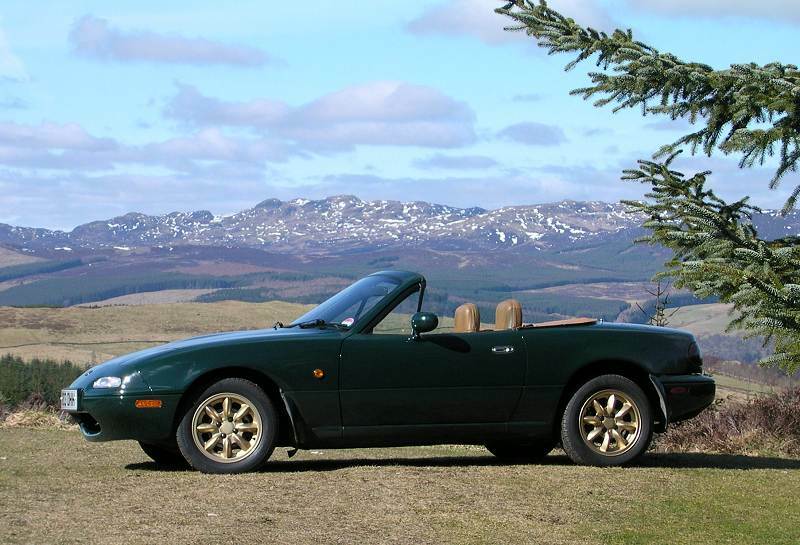 If you want a genuinely good MX5, start here, and only then look at the rest of the car! 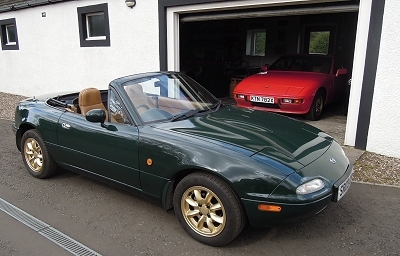 After six summers of fun (I have never used it in the winter) I have bought a new MX5, and although I have a small private collection of sports cars, I don’t have garage space to keep this one, so sadly it is for sale. 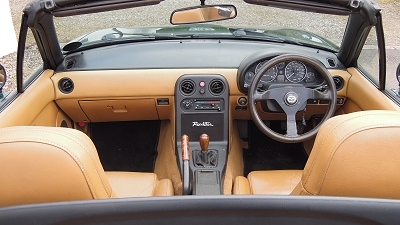 It is a 1991 Eunos Roadster V-Spec, privately imported from Japan in 2003, and has only had two UK owners since. The previous chap was as fastidious as me about keeping it out of the rain and the car has never seen a salty road. That is why it is in such amazingly good condition. 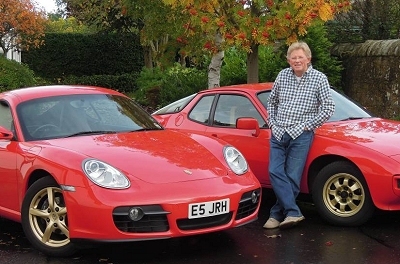 It has only done 68,922 miles (110,276 km) and runs as sweetly as the day it was made. 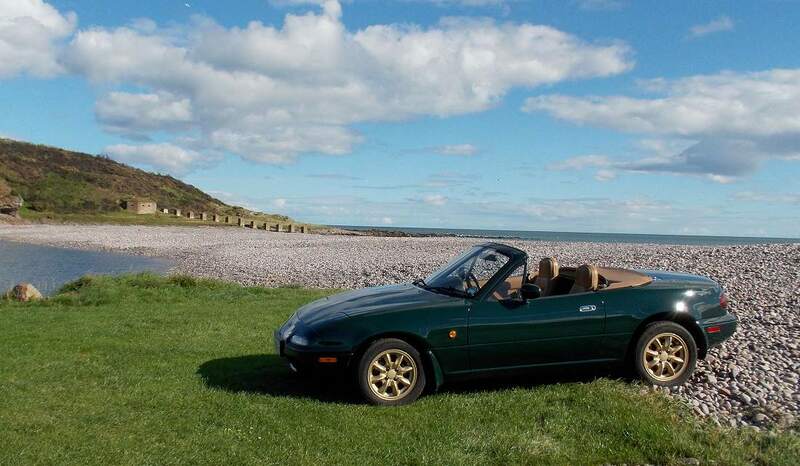 It sailed through its MOT with no advisories, and the MOT runs till March 2016. It is taxed till July, but that doesn't matter these days. 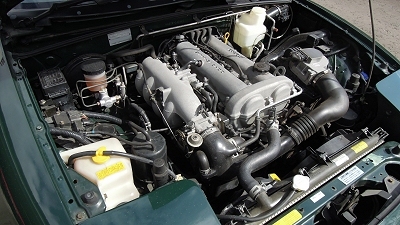 The V-Spec model was a Japan only limited edition, in British Racing Green with tan leather interior, a classic combination. It has air conditioning (which amazingly enough actually works!) power steering (which makes a huge difference, as it has a quicker rack) electric windows, and I believe a limited slip diff. These are quite rare in the UK. I have added a set of very rare Panasport Pro Rallye wheels (with almost new Continental tyres) which are a Japanese copy of the classic Minilite wheels. I had these professionally powder coated in gold, which really goes well with the green and tan. They use the stock tyre size, so as not to upset the delicacy of the handling, but being just a little wider they give the car just the right stance. The car will also come with the original silver Mazda “Daisy” style wheels, which also sport a set of virtually new Vredestein tyres. It has a genuine Mazda windbreaker, and a very rare genuine Mazda full tonneau cover in black, as well as the short tonneau in tan. 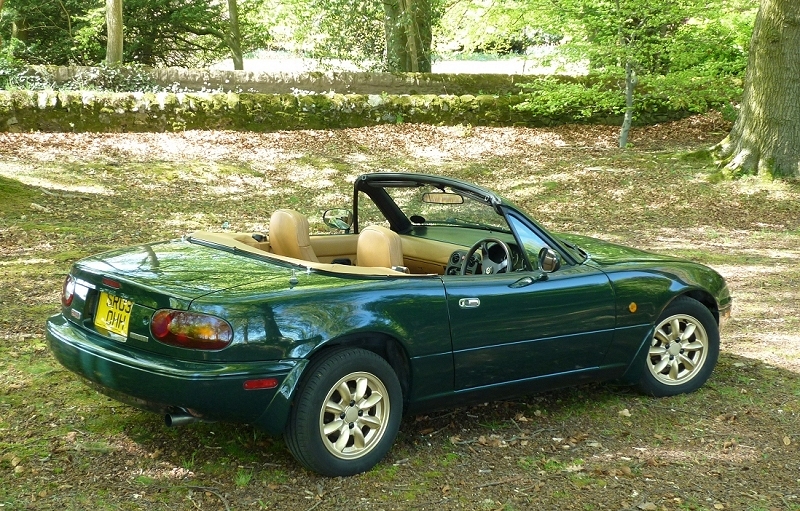 It comes with two steering wheels, the original wood rim one and a proper Mazda MOMO wheel, which I prefer. The engine is clean enough to eat off! In maintenance and upkeep terms the car has wanted for nothing. 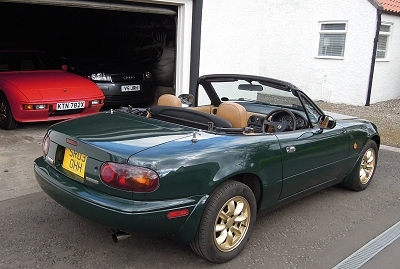 As well as servicing it, I have changed or upgraded the following, all with genuine Mazda parts, and I have a sheaf of invoices from MX5 Parts to prove it. I have also refurbished the rear callipers, changed the brake pads, new wiper blades, undersealed the floor pan, flushed the coolant, flushed the brake and clutch fluids, changed the gearbox and diff oils, and a host of other small jobs. 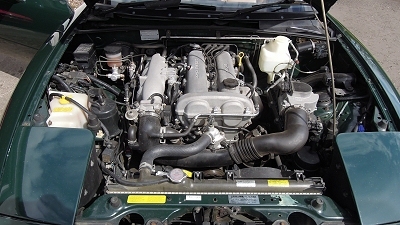 The car had a new cambelt, water pump and thermostat housing fitted by the garage before I bought it. I am not aware of any outstanding maintenance issues. It’s good to go! The car is not a garage queen. It is a 24 year old classic sports car which has been loved and driven, and as such it shows some patina of use, as you would expect. 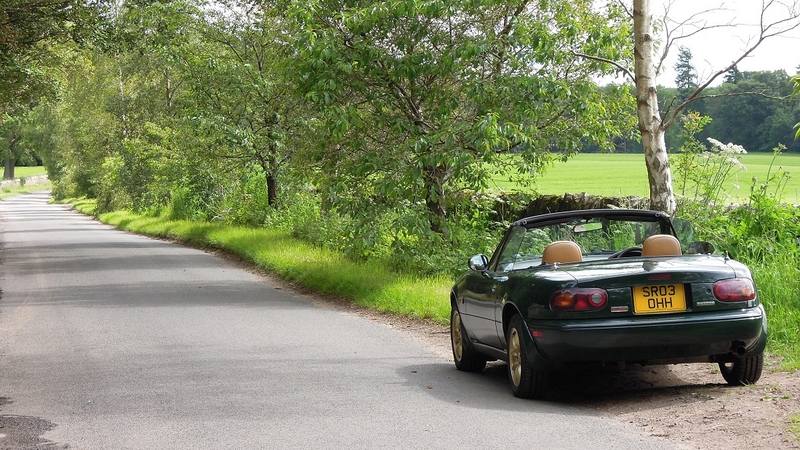 It has many summers of fun motoring left in it just as it is. However if you are looking for a potential show car, this one would make a good solid low mileage start for a future concours project, as with more TLC and a re-paint it has the potential to be a show winner. The choice is yours. The price? 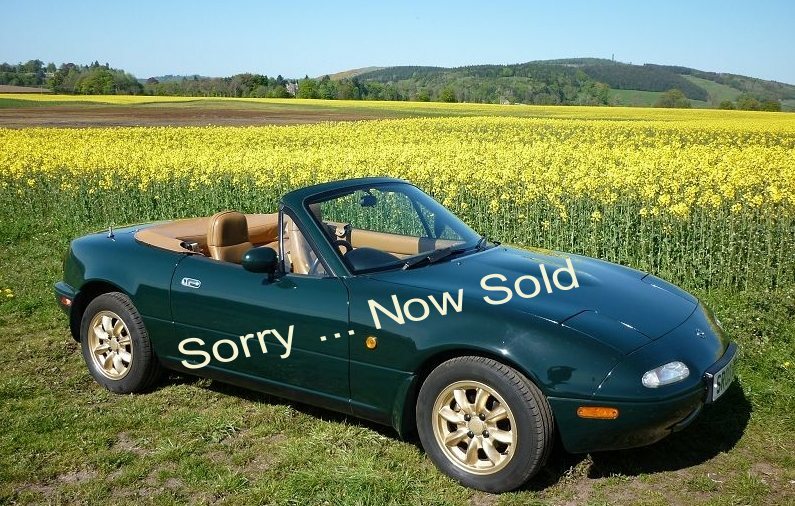 Well, MX5 prices seem to be all over the place. You can pick up a project car for a few hundred quid, and there are lots for a grand or two, but in my experience they are almost all hiding expensive issues. 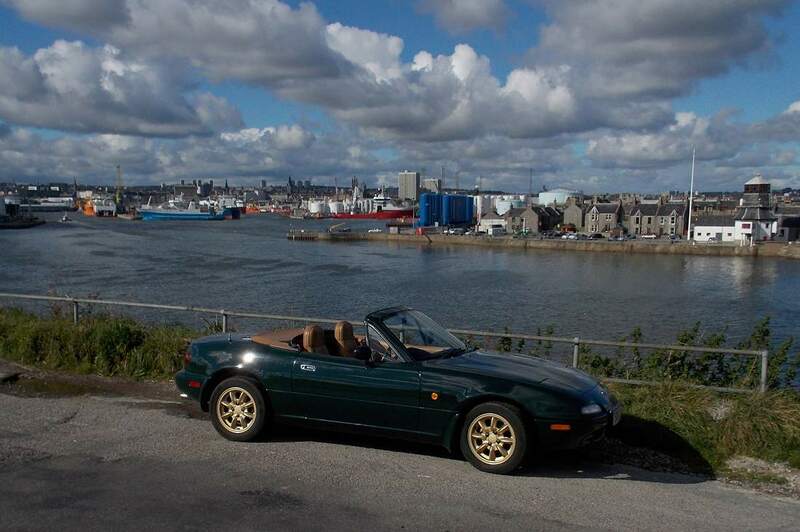 The trade are now selling good rust free imported Eunos cars for upward of £4,000, and the very best classic MK1’s are already starting to go up in value as people recognise them as future classics. I am asking £3,500 for mine, which is a lot less than I have spent on it, but seems a fair price for what is a genuine, rust free, low mileage, absolute honey of a car. 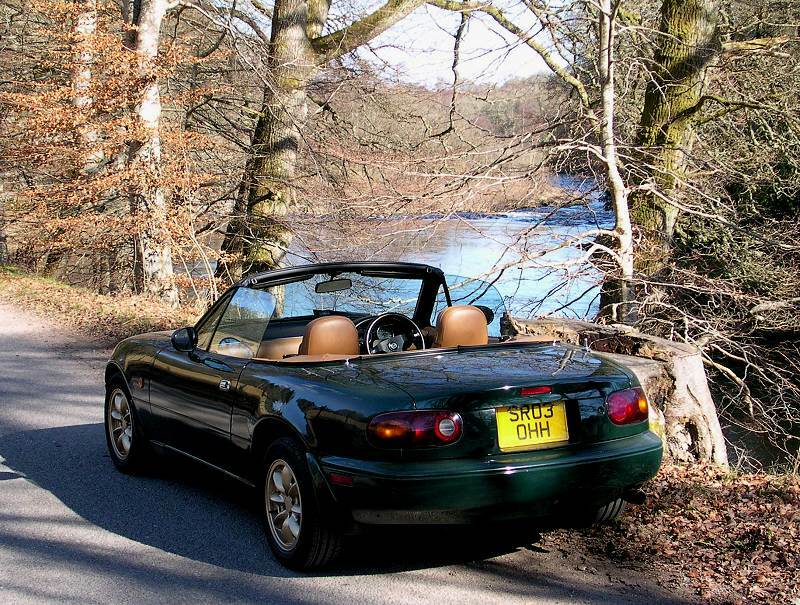 Click on the avatars below for a few more gallery shots of the car, taken on my travels around Scotland in it. The car is located in Fife, Scotland and I’m happy to answer questions, send more photos, chat, whatever. Call me on 01337 830272 (answerphone) or better still email me at johnh@arthurlea.com Thanks for reading this far!